Well, I asked Keiran Hogan one of our inventory management experts, exactly that question! I hope his answers help you. Inventory can best be described as any materials or goods that pass through or are held in your business and are necessary in order to carry out your trade. Inventory management is the activity involved in making sure your inventory works for your business as cost-effectively as possible. There are several parts to inventory management. The first part is planning. You plan what inventory you are going to hold, where it will be held, and how long you’ll hold it and you also plan for any special care you need to take for that inventory – for example, if the inventory needs to be kept dry, warm, cold or whatever. You may also need to plan on how to preserve your inventory. For instance, you might need to turn or check certain items of inventory on a regular basis. The next parts of inventory management are assessing and regulating your inventory. Assessing it usually means counting it or checking it in some way. Regulating it means making sure that you’re not holding too much or too little, and that you prevent the inventory you hold from being lost, stolen or damaged. How Can you Lose Inventory? It’s all too easy when an item is in a warehouse, but you don’t know exactly where. The bigger the warehouse, the more important it is to know exactly where the item is. Inventory management consists of a set of processes for the treatment of those items so that you know exactly what you’ve got and where. What Different Types of Inventory Exist? We’ve already discussed the segregation of inventory into direct and indirect. However, inventory management is easier if we also consider the discrete stages inventory goes through in the supply chain, so we typically refer to business inventory in terms of “types”. Raw materials: The ingredients or components from which your business manufactures or produces the products it sells. Work in progress: Any inventory in the process of being transformed from one or more raw materials into a finished product. Finished goods: This is what we call the inventory that’s ready to be passed on to customers. Service inventory: comprises spare parts and tools used after the sale or in service businesses. In-transit inventory: which is inventory being moved from one point to another by road, rail, sea, or air (as opposed to riding a conveyor between adjoining warehouses for example—this would not be classed as in-transit inventory). The categories of inventory that you hold are determined by what you need to run your business. That often means that you’ll assign different priorities to the different types. If you run a bar or a pub that sells beer and sandwiches, your top inventory priority is likely to be beer. Running out of sandwiches would be bad enough, but running out of beer would be catastrophic. You can classify your inventory to have categories which are “beer priority” (top priority) and other categories. The first inventory management principle to be observed is then to not run out of the essential items that sell well and keep your business going. The next principle is to be prepared occasionally, to run out of items that don’t sell as well and are non-critical to your business, if that helps you to do better inventory management overall. In other words, you’re now differentiating among items in your inventory, treating the good (fast) sellers in one way, and the slow movers in another way. 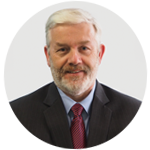 Keiran Hogan is a contributing Author to the Supply Chain Secrets Book Series. Not exactly what i’m looking for for but i’ve to confess that i really appreciated this article. When I initially left a comment I appear to have clicked the -Notify me when new comments are added- checkbox and now each time a comment is added I receive 4 emails with the same comment. There has to be a way you are able to remove me from that service? Cheers! I’ll have our web team check that for you.